Your leather sofa is the focal point of the decor in your home or office. You’ve worked hard to create a space that suits your taste and needs, and you want to keep it looking and feeling just right. Whether you’ve chosen a sleek, modern sofa to add drama to your space or a soft sofa in warm tones to welcome family and friends, you want it to last. At Leather Repairs Northampton, we offer expert leather sofa repairs to ensure you can enjoy your sofa for many years. The sofa is one of the most used pieces of furniture in most homes. Even with the strength that leather offers, your sofa can wear and fade with daily use if you don’t provide the right care. Each time you sit on it, dirt and oils go into the pores, and colour and finish get worn away a little more. Trust the experts at Leather Repairs Northampton to provide on-site leather sofa repairs to renew and protect your sofa’s beauty and style. You don’t have to waste time and effort dragging your sofa to a repair shop to get quality leather sofa repairs. Nor does damaged or dated leather have to mean the end of your sofa’s life. The leather sofa repairs team at Leather Repairs Northampton can help save your money and your leather with on-site care and repairs to suit sofas of all ages, shapes and sizes. We’ll carry out all repairs at a time and place you choose, making it simpler than ever to keep your sofa in great shape. Whether you need minor scuffs and stains removed or major leather damage repaired, the team at Leather Repairs Northampton is at your service. We also offer a range of other leather sofa repairs to keep your sofa in great shape. Call us for help with loose or damage stitching, worn springs or sagging cushions. Let our team keep you sitting in style. Don’t live with a less than perfect leather sofa for one more day. 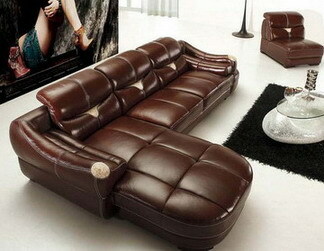 Call the leather sofa repairs team at Leather Repairs Northampton now. We’ll come to your home or office to assess the damage, provide you with a free quote and take on all repair jobs – no matter how large or small – right on site. Call today and let us show your leather the love it deserves.